You are an important piece of My plan. When My body is working together, I can accomplish so much more. Acts 2:1 says, “When the day of Pentecost came, they were all together in one place.” I need you in the Church. Your gifts and calling are yours alone. Following Jesus is a two part commitment. You are called to love Him and join His body of worshippers – the church. I call that “relationship” with God and “fellowship” with the church, and it’s a wonderful thing, except for when it’s not. It is the relationship with other Christians that isn’t always wonderful. Now, I have good friends that are kingdom-minded Christians and they maintain healthy Christian relationships without going to church very often. They stay connected to the body through service or ministries. These few people are the exception to the rule. 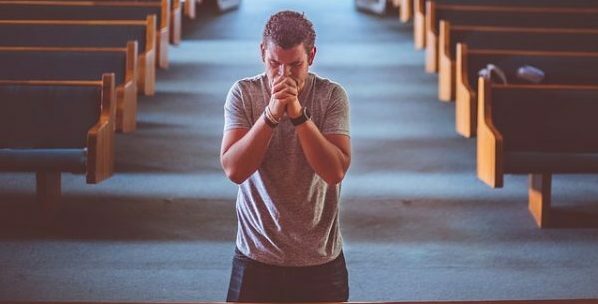 Most Christians need to attend church even if they don’t believe they do! The New Testament never divides Christians into church members and non-church members. All the way through, it assumes that everybody participates in the local assembly. It gives no examples of Christians who belong to the “universal church,” but have no link to the local church. Any idea of enjoying salvation and being a Christian in isolation is just plain foreign to the New Testament. Christians met regularly. Any time Paul made new converts, he immediately organized them into a little church. The next thing he did was ordain pastors not only to feed and lead those congregations, but put them in order. The reason for this is because the church must work together to carry out God’s purposes. It’s not a hard thing to understand, but so many Christians miss this! They fool themselves into thinking that salvation is the end of things, when it’s the beginning! Renew your passion for fellowship. Know that we need you in the Body of Christ. You have a purpose I don’t. Come fulfill it! We’re counting on you.